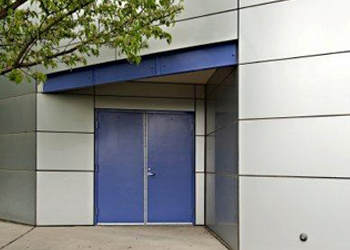 We can provide a full range of high security door sets in either steel, aluminium or multi-laminated birch plywood, for use in commercial or industrial premises where extreme security is required. The doors, which are manufactured to your specification, provide a high resistance to violent assault. All doors can be fitted with multi-point locking and continuous steel hinge and dog bolts, and the multi-ply doors can be further protected with steel cladding to the door and frame. A wide range of hardware is available, including panic release for fire exits. Frames are installed with over-specified fixing bolts to ensure protection against violent attacks. We also supply and fit a range of fire rated steel door sets designed to contain & prevent the spread of fire for a specified period of time – from 60mins to 4 hours. 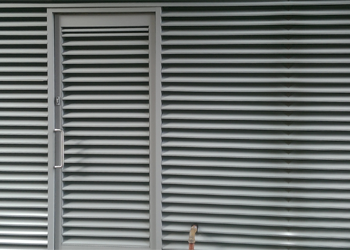 The doors can be supplied with a range of locking devices, escape hardware, vision panels and louvers.